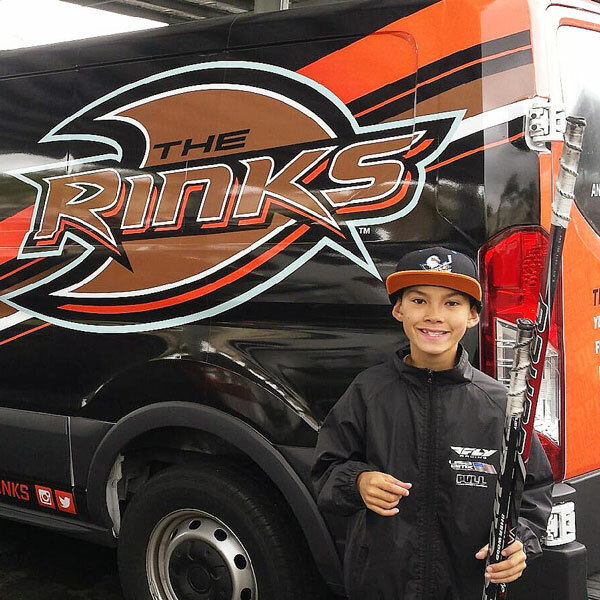 Little Ducks Hockey Initiation Program, offered at many rinks across Southern California, introduces kids to the sport of ice hockey. This program is for kids age 4-12, who have basic ice skating skills, but no prior experience playing ice hockey. 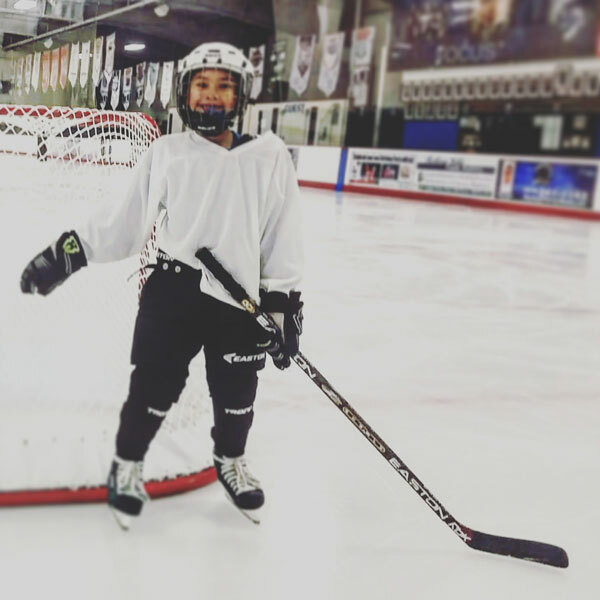 $150 includes 6 weeks (1 hour per week) of the introductory ice hockey program. Instruction is led by USA Hockey certified coaches, and includes surprise visits from NHL alumni! The program also includes a voucher for a FREE, full set, of Bauer hockey equipment, including hockey skates! Participants can redeem the voucher at MonkeySports Superstore, in Irvine. They even get to keep the equipment at the end of the program! Kids must have a USA Hockey Membership to participate. 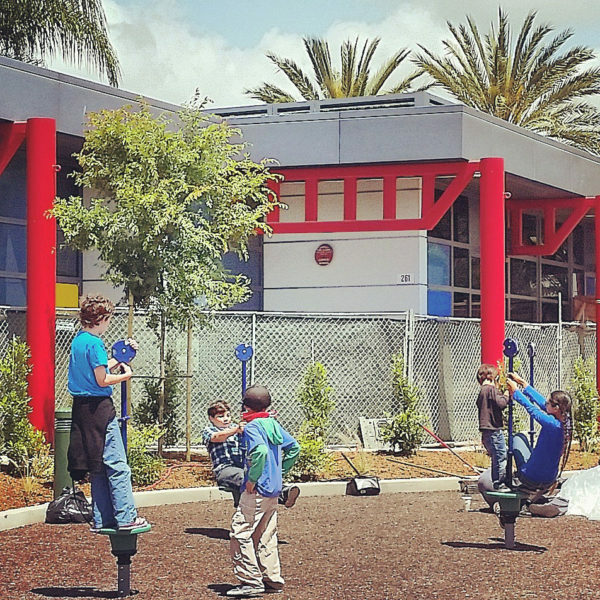 Kids age 4-8 get the membership included with registration. Kids age 9-12 will need to pay for the membership. 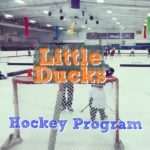 This program is for kids new to hockey. Kids with previous hockey league or program experience are not eligible for this program. Hockey socks are required for the program, but not included with the equipment provided. A mouth guard (to protect teeth), stick tape (to wrap the hockey stick), hockey tape (for taping shin guards and elbow guards in place), and athletic supporter (cup) are not included with the equipment provided, but good things to have when playing hockey. 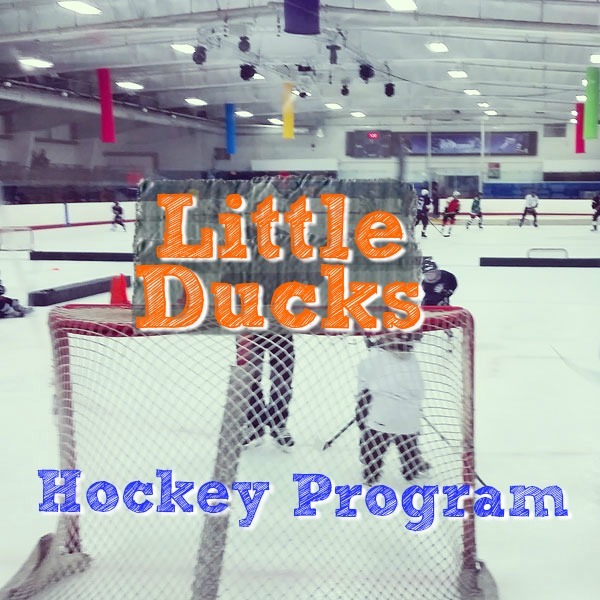 Check out the Anaheim Ducks website for more information about the Little Ducks hockey program. It sounds like a really great program! The Flower Fields at Carlsbad Ranch are a fun place to visit with kids! 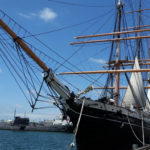 There are lots of activities, most of which are included with admission. 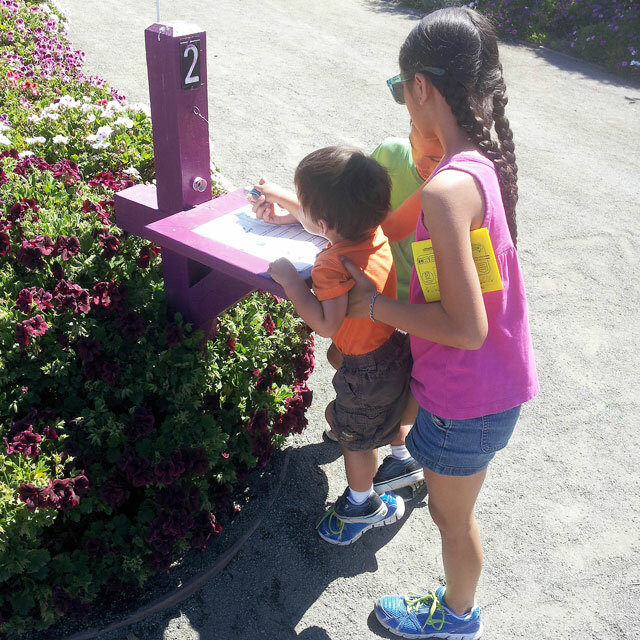 When kids enter, they’re given a booklet, titled The Flower Fields Passport. Take the Passport to different numbered stations found around the property and stamp the corresponding number in the booklet. 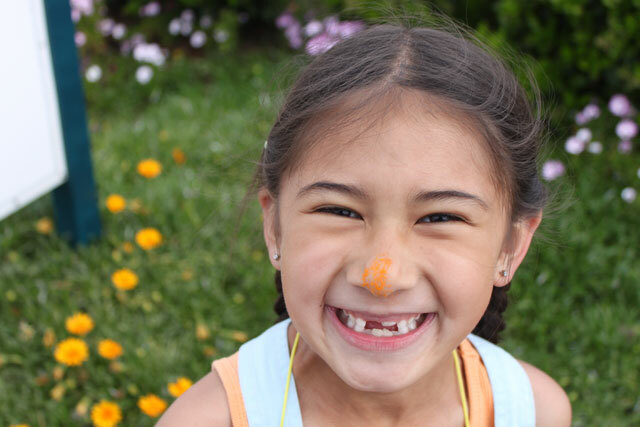 It’s a fun activity that gets kids engaged with their surroundings. 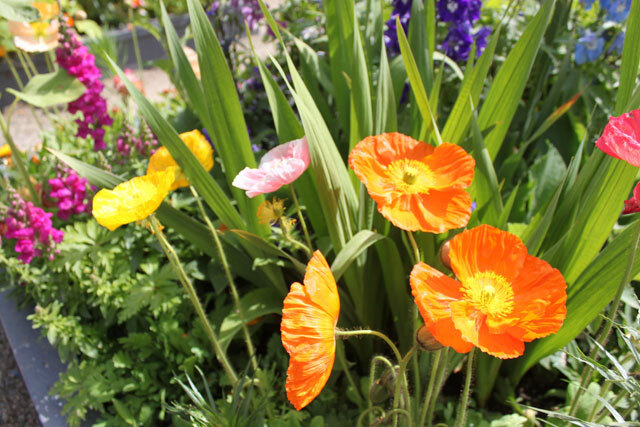 Take an audio narrated antique tractor wagon ride around the ranunculus fields! 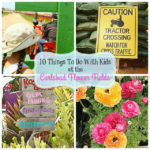 This fun ride stops at the top of the fields and allows you to hop off to walk around. You can hop back on another tractor that comes by to enjoy the remainder of the ride. 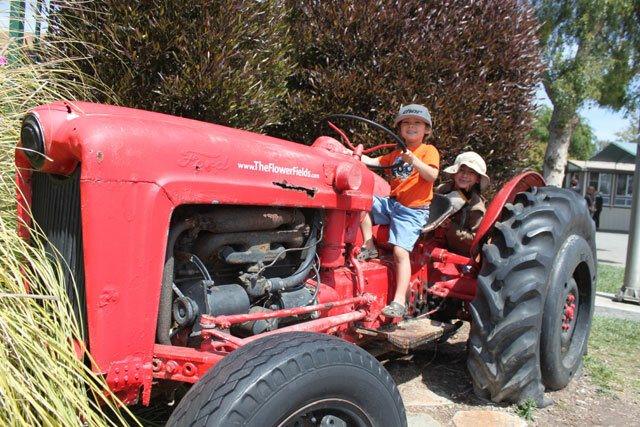 The tractor ride is an additional fee, but a great way to learn the history of the fields, and see some areas not as easily accessible by foot. 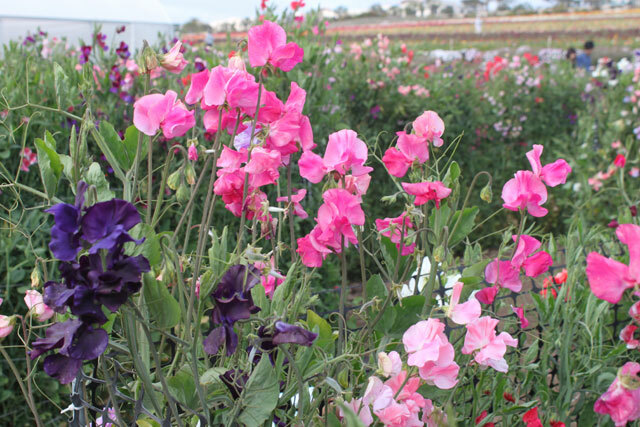 Walk through a fun sweet pea maze! The maze is located below the ranunculus fields, past the Poinsettia building. Go through the maze as many times as you wish, as it’s included with admission! Santa’s Playground is a super cute area. 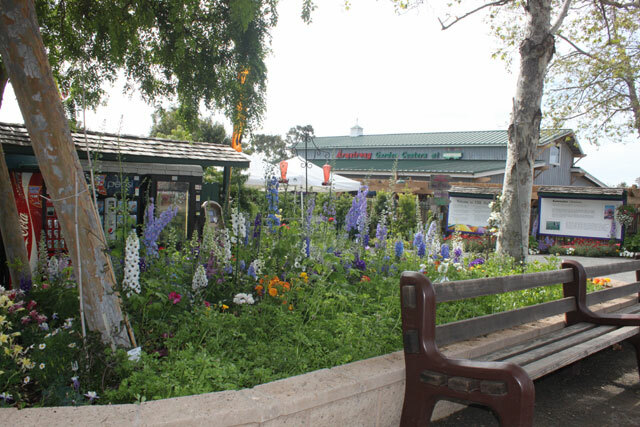 Here you’ll find playground equipment, some neat little play houses, benches for seating, and larger-than-life mushrooms once found at Santa’s Village in Lake Arrowhead. It’s a great place for kids to run around! 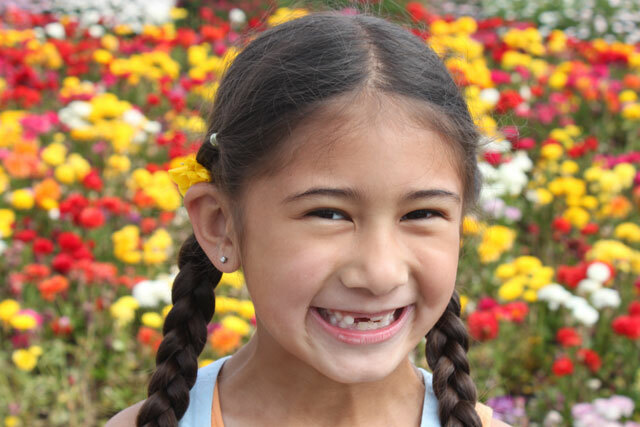 The Flower Fields is a great place to take pictures! 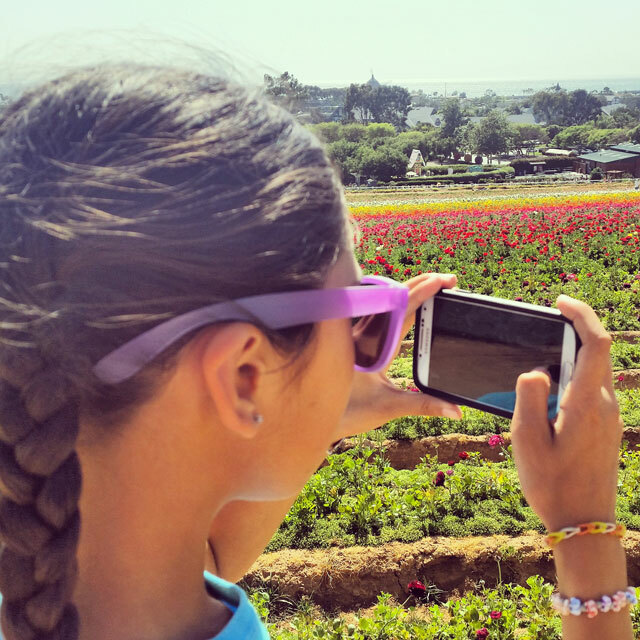 Let your budding photographer take some shots, and be sure to snap some too. It’s very picturesque, so be sure to have room on your phone for lots of pictures, and bring a DSLR if you have one. Check out the birds in the aviaries! 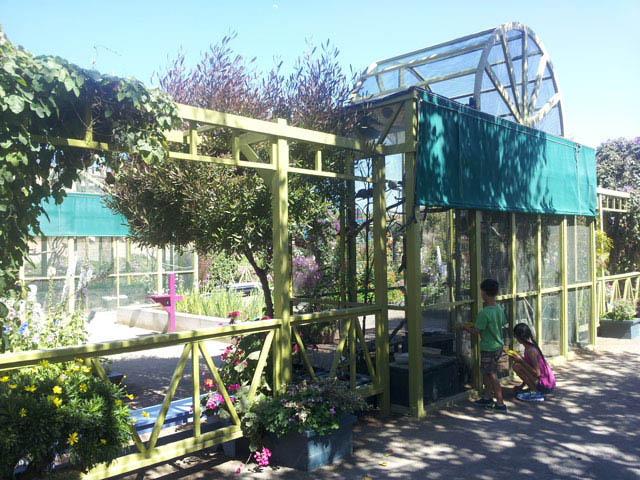 The aviaries are located to the right of the entry, in the Artist’s Garden, near the restrooms. Here you’ll find doves, chickens, and other birds. 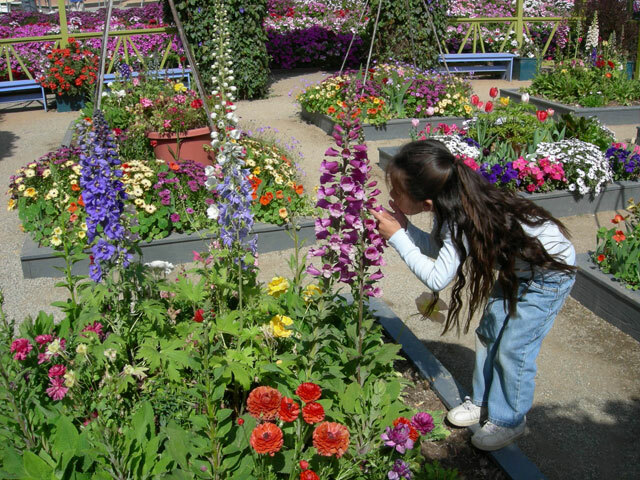 The Flower Fields is a great place to learn about different flowers and plants. Learn about the Tecolote Giant Ranunculus (the flowers grown in the fields), different species of roses, and the poinsettia. 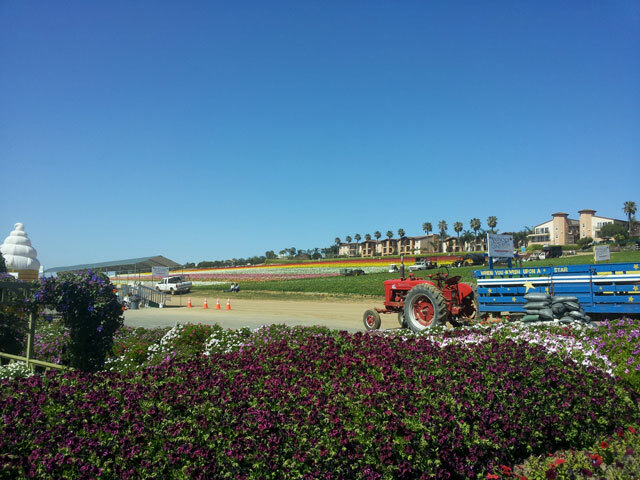 The best way to learn about the ranunculus is by taking the tractor ride with the audio tour. 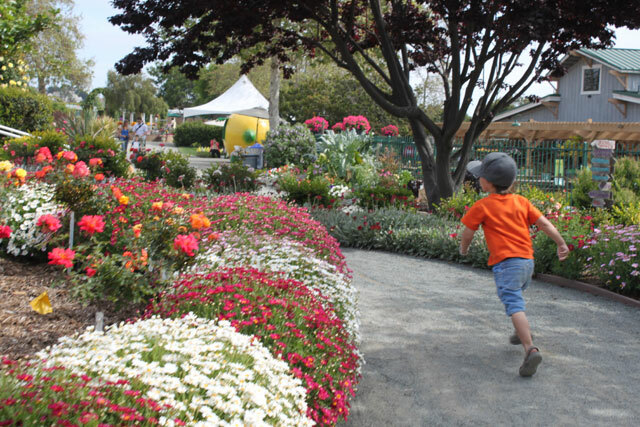 Walk through the Rose Garden to view many different species of roses. 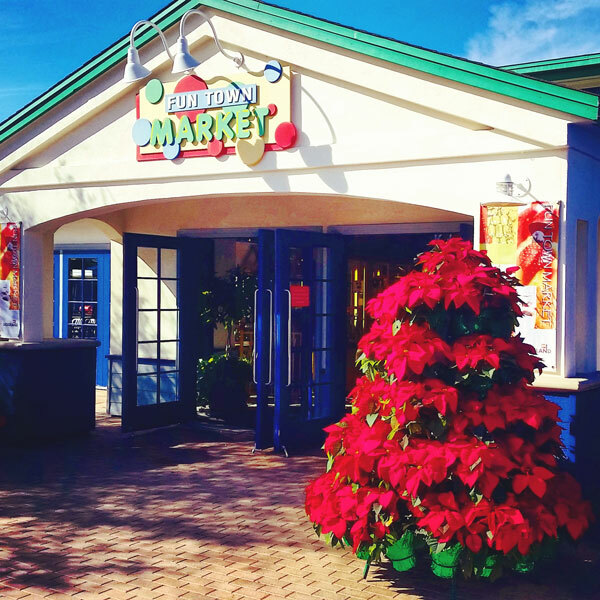 Go through the Poinsettia Building and view many different species of this plant. Wandering around the grounds is a great way to enjoy and appreciate nature. 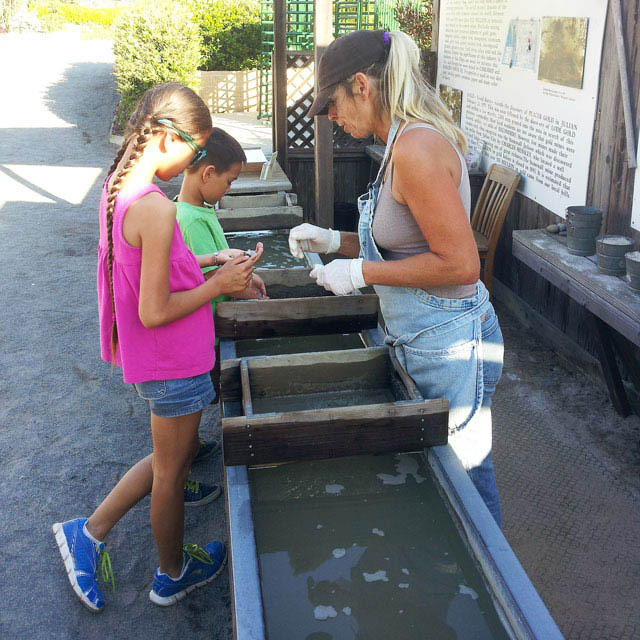 Field trips are available for schools, and FREE Educational Activity Sheets, related to gardening and such, are available for download. Scroll toward the middle of the page for links. 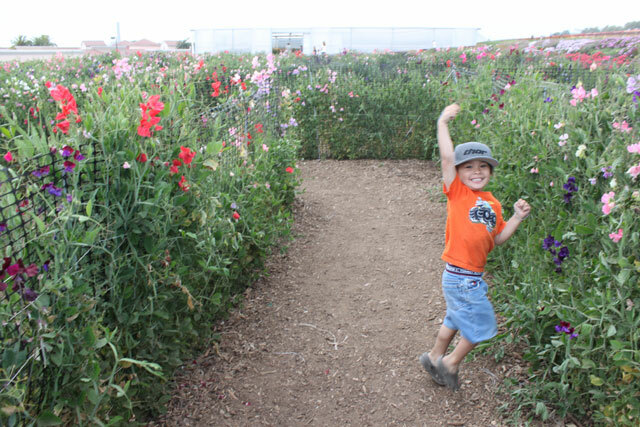 The Flower Fields consist of 55 acres, so there’s lots of room to walk around! Be sure to wear comfortable walking shoes. 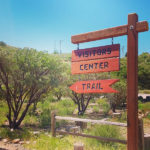 It’s a great place to get some exercise while exploring with kids. 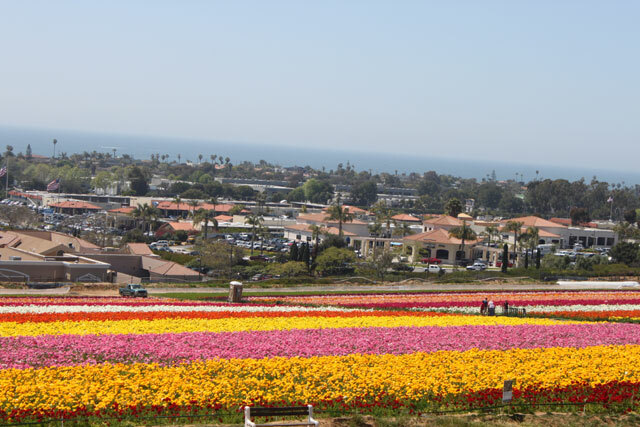 The Flower Fields are open daily from 9am-6pm daily, March 1 – May 12, 2019. They offer free parking, and allow you to picnic in designated areas. Be sure to check their website for entrance fees and further details. As mentioned in our other post about The Flower Fields, the fields bloom in patches. If you’d like to check blooming conditions, call 760-431-0352 x3. We can’t wait for our annual visit! Perhaps we’ll see you there! 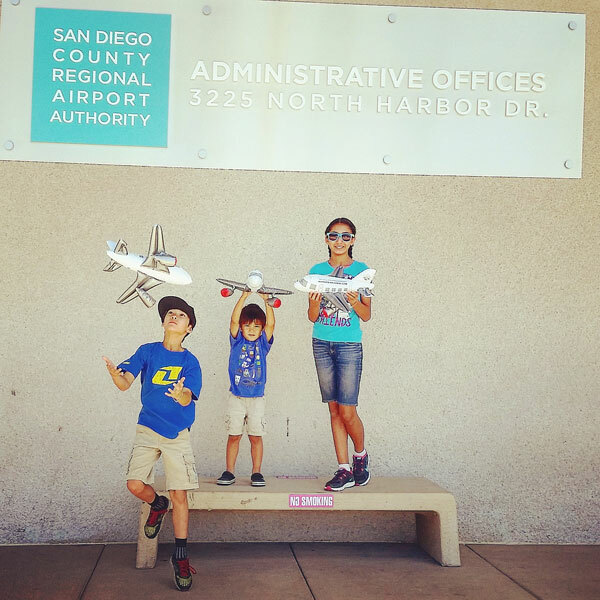 San Diego Airport Youth Airfield Tour! 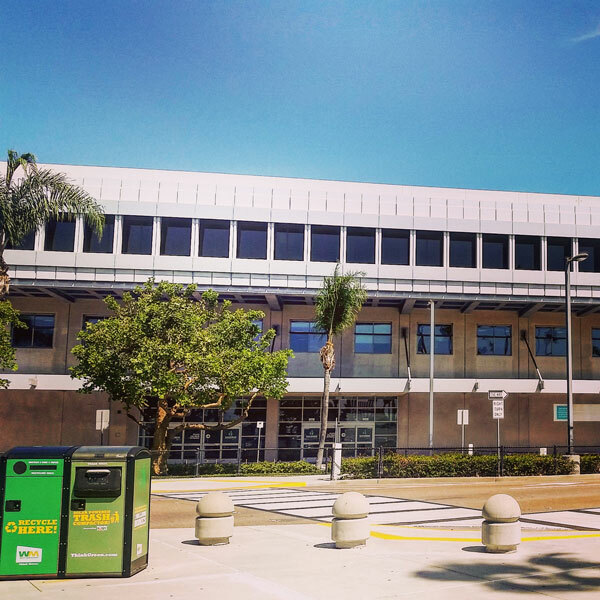 The tour begins at the San Diego Airport Authority’s Administrative Building. This building is located at what used to be the original Commuter Terminal. Parking for the tour is available here as well. 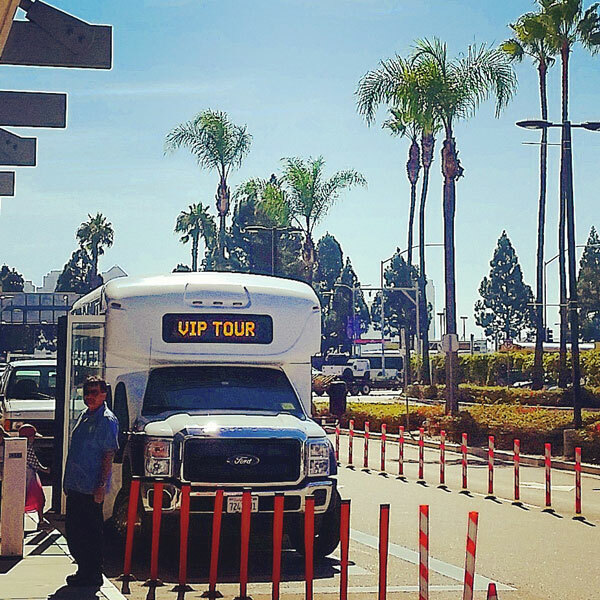 A designated Airport Authority Guide will meet you out front. The guide will hand out official pre-printed name tags that are required for the tour. 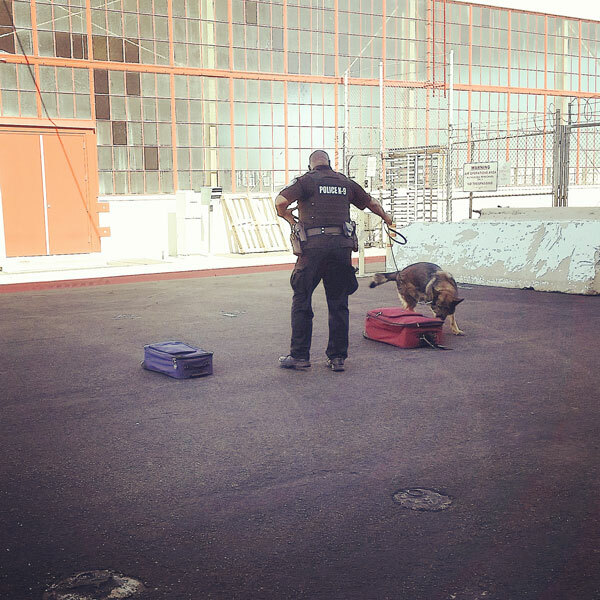 Depending upon availability, the Youth Airfield Tour may include a demonstration by the K-9 bomb-sniffing dogs of the San Diego Harbor Police. This portion of the tour gives great information about airport security, dog training/handling, and the many duties of a Harbor Police officer. Each of the persons on the tour board an air conditioned “VIP” bus for the airfield tour. The bus goes through security checks to make sure the guide has authorization to enter the runway. Once on the airfield, planes arrive and depart at a close distance. The guide describes different jobs that people have at the airport. 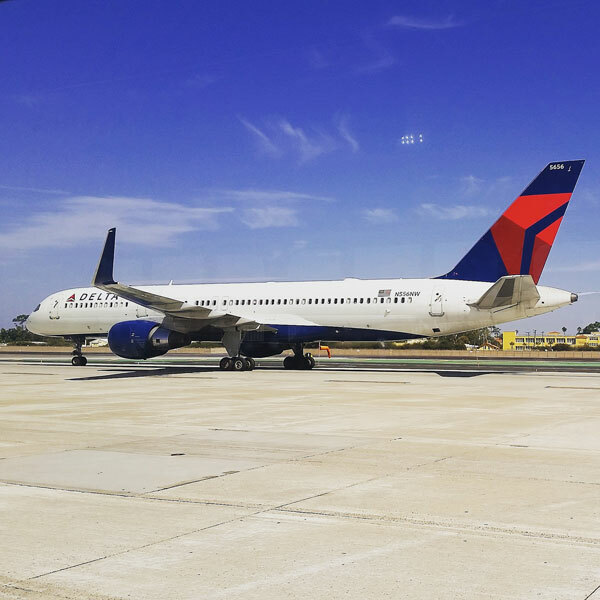 The guide also points out interesting details about planes, the fueling area, etc… He/she will also inform your group of the least tern, a type of small, endangered bird that can be found living on and around the airfield, as well as other areas of San Diego. The tour continues to the airport fire station. Depending upon availability, your group may be able to get out and tour the station. You may be able to tour of both the inside and outside of the station. 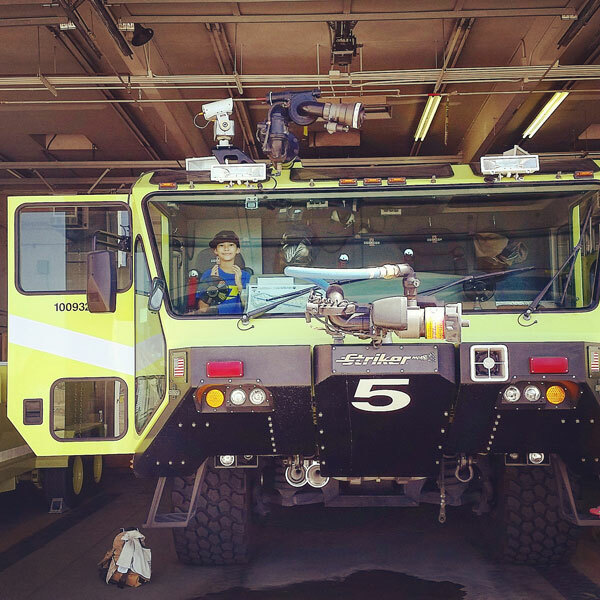 A firefighter will likely tell your group about the responsibilities of an airport firefighter, and give you the opportunity to go inside one of the engines. After arriving back at the Administration Building the kids are surprised with a backpack filled with neat, fun, and educational goodies from the airport. 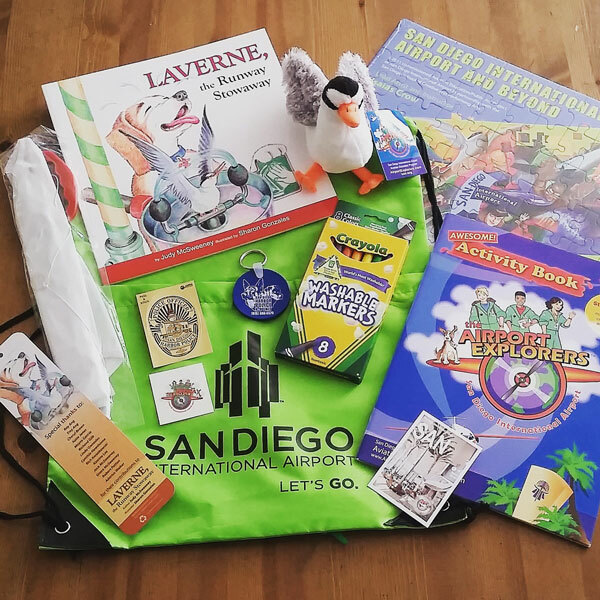 This is an awesome addition to a wonderful field trip, and VERY nice gift from the airport. If you have the interest in taking the Youth Airfield Tour, you’ll need to sign up in advance, and there will likely be a long wait for an available date. Each person must pass a security check prior to attending, and no one other than those signed up in advance may be present at the tour. 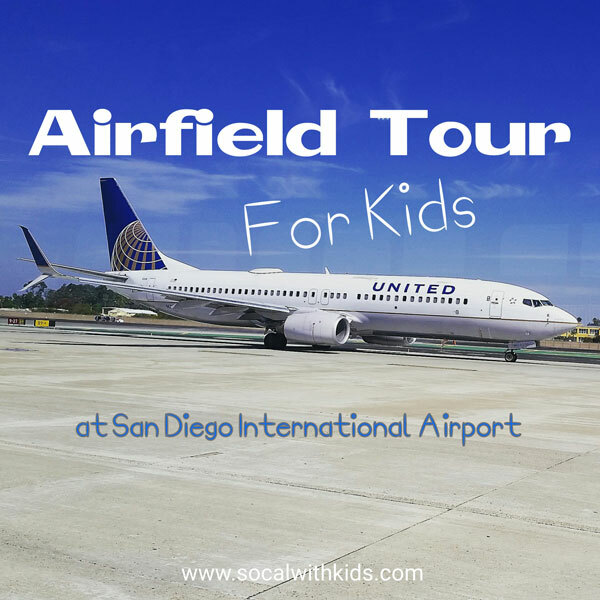 Here’s a link to the Youth Airfield Tour section of the San Diego Airport’s website, where you can read further details about the tour, request more info, and visit assorted links that include games and activities, curriculum, and more. 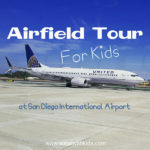 The Youth Airfield Tour is a great way for kids to learn about many of the different operations at an airport. It was definitely an experience that we each enjoyed, and will always remember. It made for a very fun and interesting field trip. Perhaps we’ll see you there! 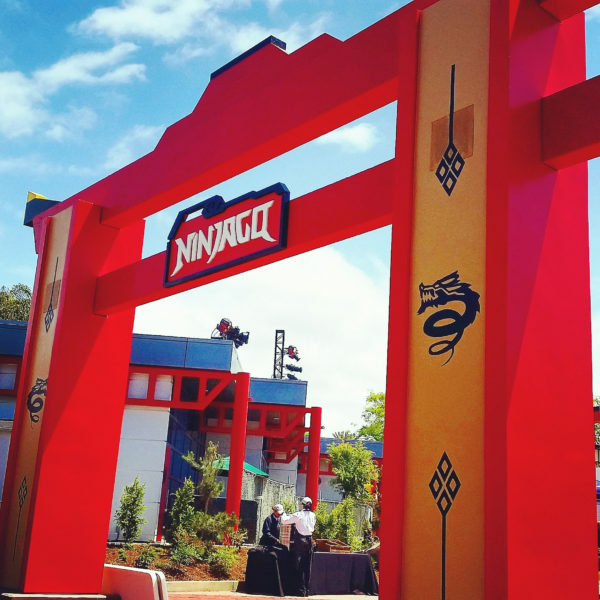 NINJAGO World, located within LEGOLAND California, is now open! We attended the press preview prior to the new area opening to the public. 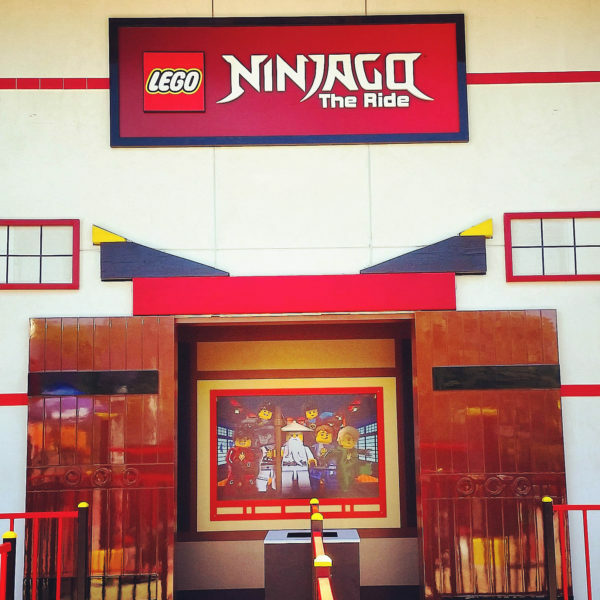 NINJAGO World features a new 4D ride, children’s rock climbing wall, playground spinners, a walk-up Asian-inspired restaurant, LEGO building area, and large NINJAGO-themed LEGO models. 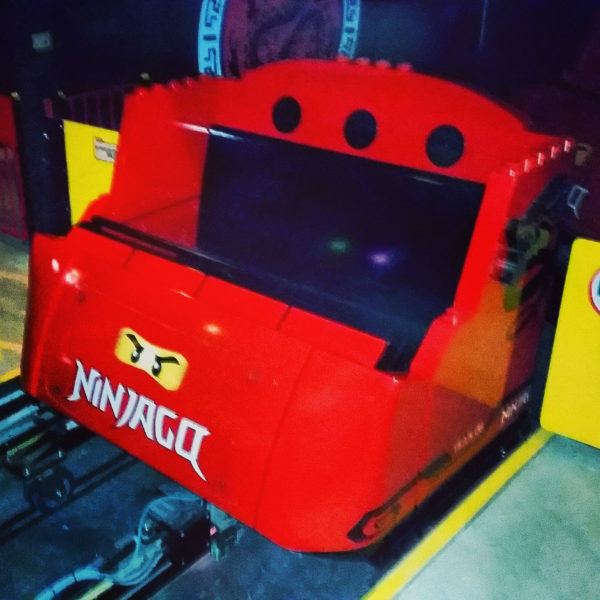 The main attraction within NINJAGO World is NINJAGO The Ride. This new, interactive ride incorporates heat, smoke, and wind. Riders wear 3D glasses and use hand gesture technology to interact with media shown throughout the ride. 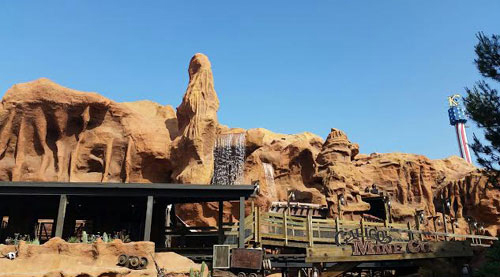 The ride is 3 1/2 minutes in length, and although it does not have a height requirement, it does require guests under 48″ to ride with an adult. 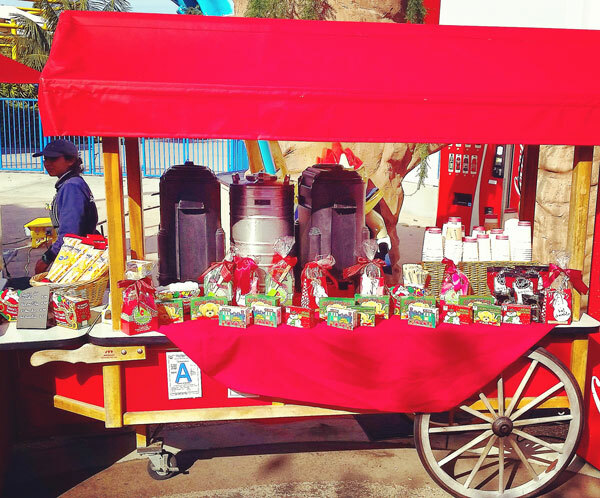 The ride carts are roomy, as they’re designed for up to four riders each. Each rider can use their virtual ninja skills to gain points while battling amongst each other. 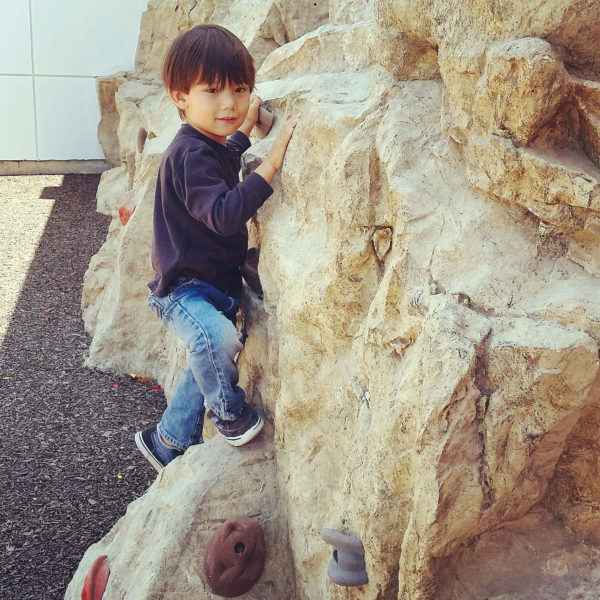 Cole’s Rock Climb is one of the hands-on activities for kids in NINJAGO World. The wall has some grips for scaling, as well as a padded area at the foot of it. 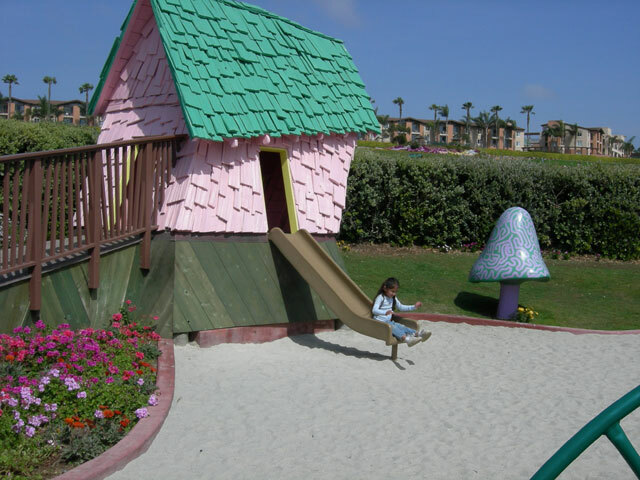 It isn’t super high, making it an appealing area for kids both big and small. 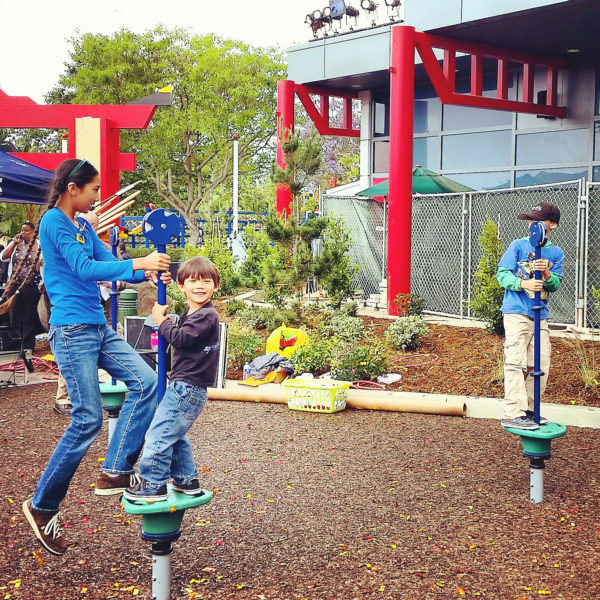 Kids can practice the art of “spinjitzu” on playground spinners in the new area as well. 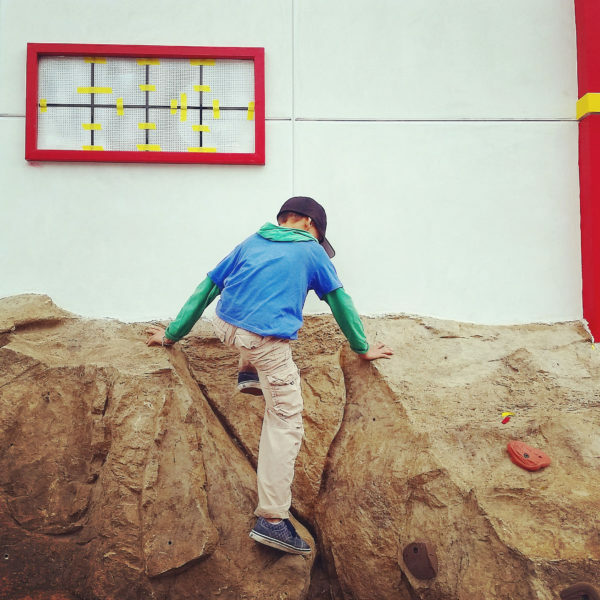 Like the climb wall, these ride-ons are also surrounded by soft turf at the foot of them. 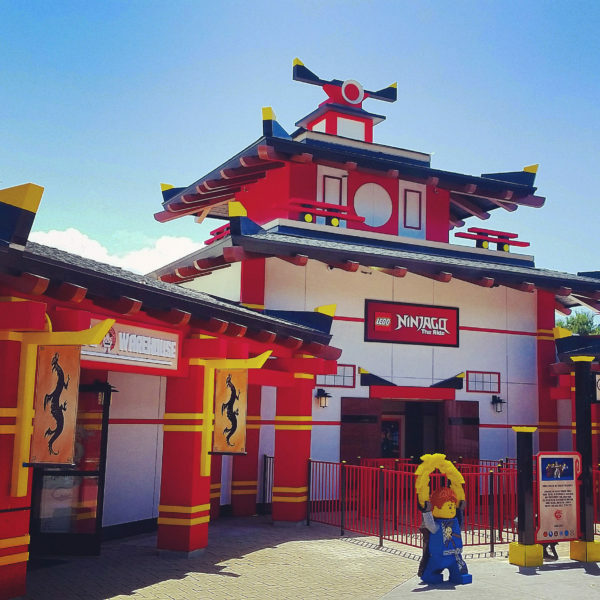 Guests can have fun building Ninjago-inspired creations with LEGO bricks at Zane’s Temple Build, which is located in the center of NINJAGO World. 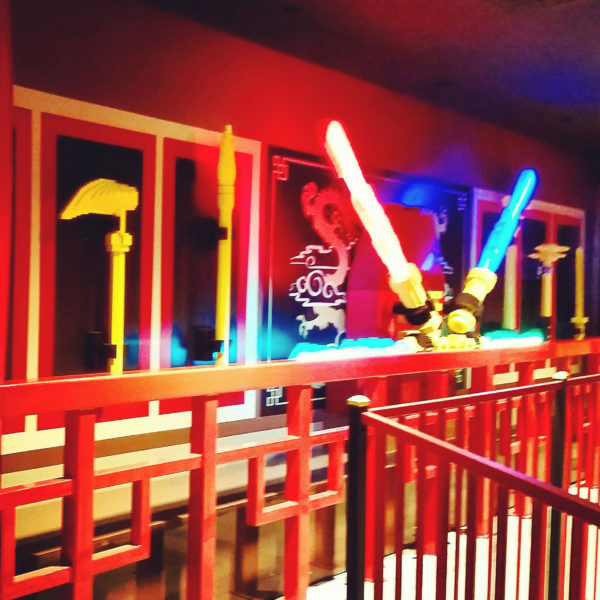 You don’t have to go far to get a bite to eat inside NINJAGO World. 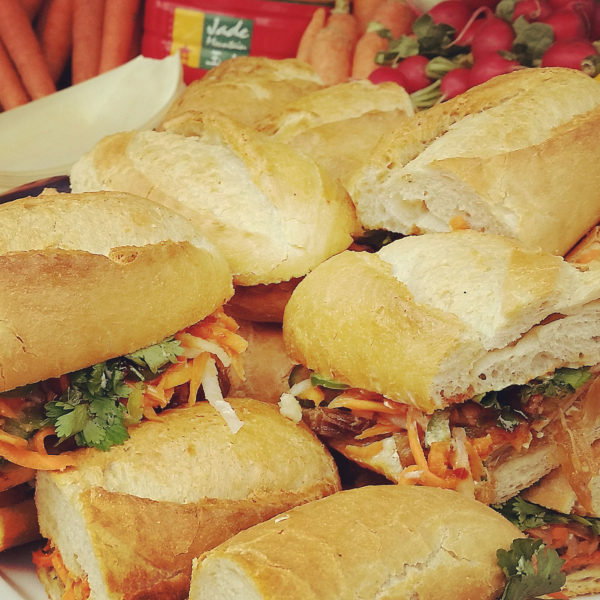 Ninja Kitchen offers Asian-inspired food such as Banh Mi Vietnamese sandwiches, available with either chicken, pork, or tofu. 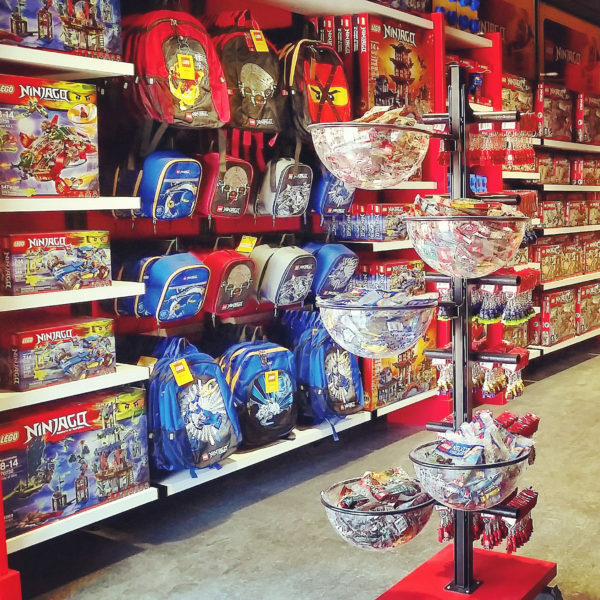 If you’re looking for Ninjago-themed merchandise, look no farther than Wu’s Warehouse! 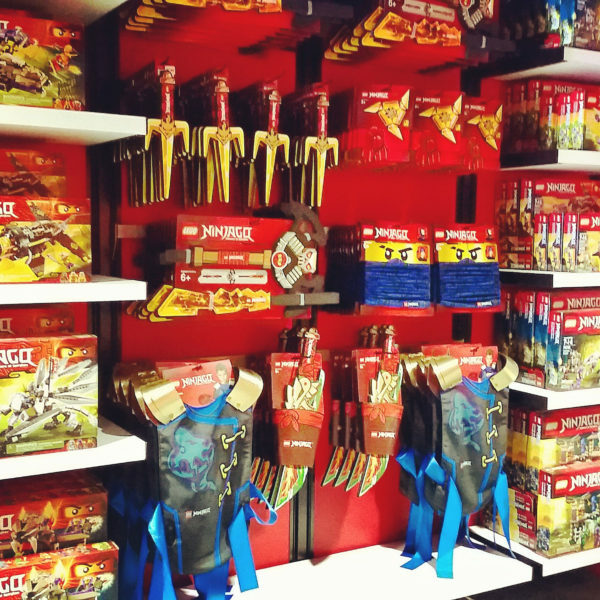 This store is chock-full of cool Ninjago items from backpacks to swords to LEGO sets, and SO much more! 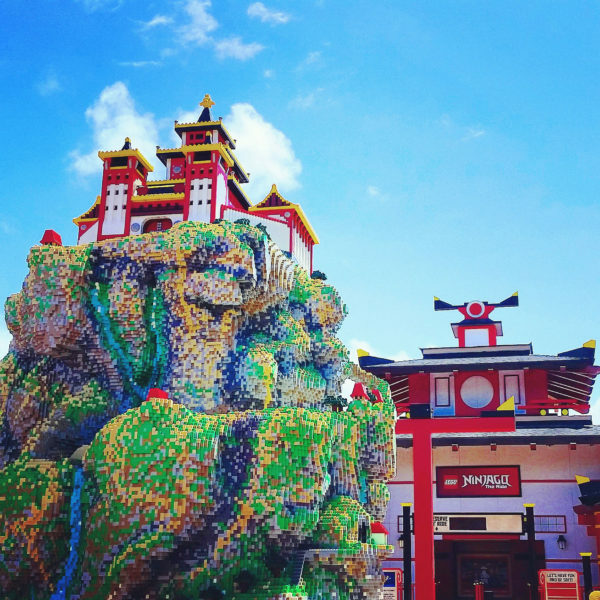 If you love LEGO like we do, you are sure to be amazed by the twenty-two large Ninjago LEGO models in NINJAGO World! 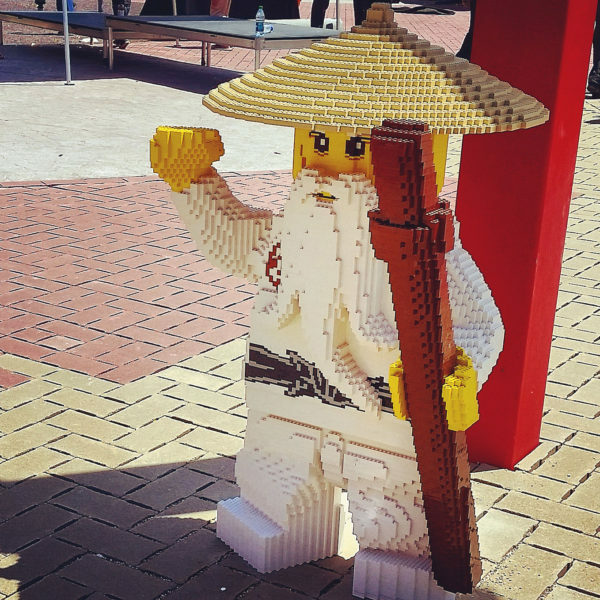 Well over 1 million LEGO bricks were used to create the masterpieces. Be sure to save room in your memory card for pics! 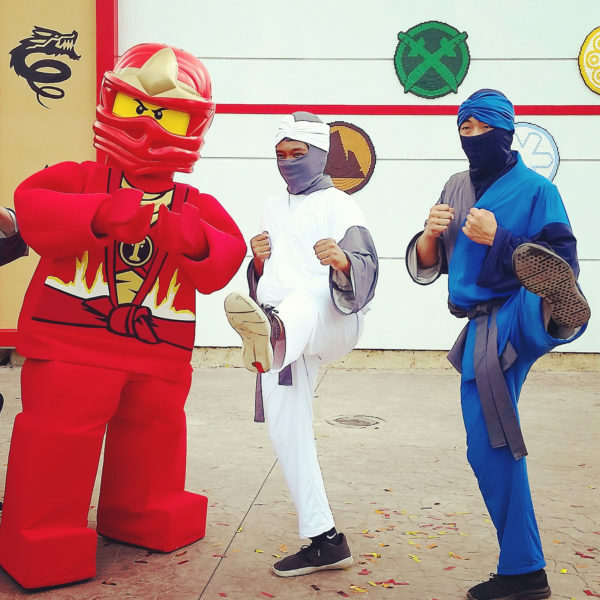 Check the official LEGOLAND California website for operating hours, and further details about LEGO NINJAGO World. 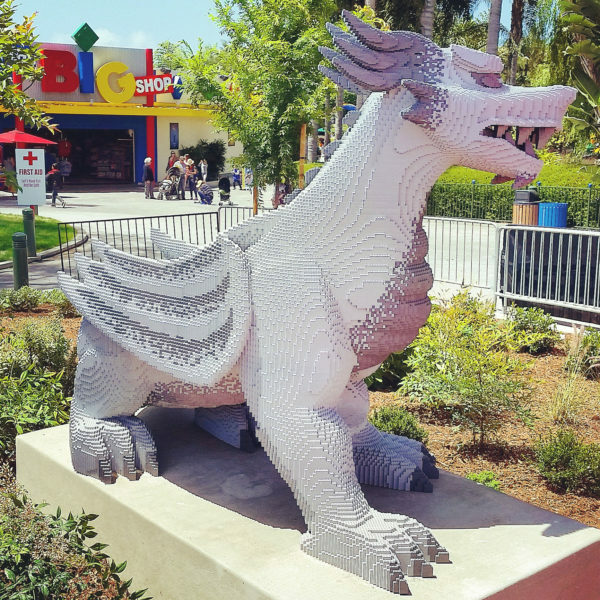 We think it makes a great addition to the Park! Perhaps we’ll see you there! 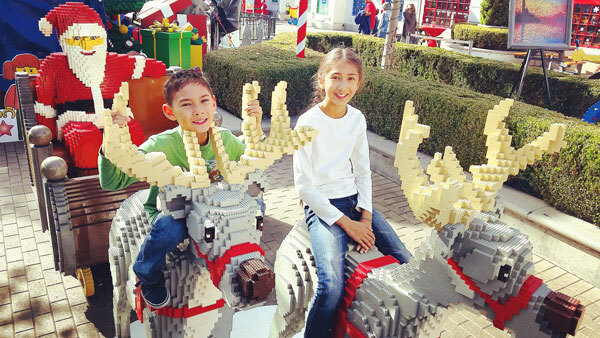 When planning a holiday visit to LEGOLAND, be sure to visit the official LEGOLAND California website for days and hours of operation. The Park is closed some days during the season, and open a bit later on certain dates for Winter Nights. Make sure you plan accordingly. Legoland’s Winter Nights includes live entertainment by The Jingle Jammers, and fireworks on select the nights. 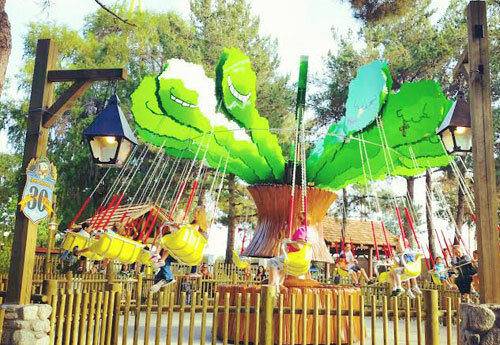 We suggest you plan to arrive to the Park at opening, and play all day. Believe us, the day will go by fast! Be sure to pack mittens or gloves, and wear flat, closed toed shoes for the snow play areas, as Holiday Snow Days are included with Park admission! It’s cute to throw a scarf on the littles for snow play pics, and it might be smart to pack an extra pair of pants for those that want to sled, as they may get a bit wet. We always pack extra socks as well, just in case they get damp from the snow. Once you arrive at the Park, be sure to pick up a free Park Map and Entertainment Guide at entry. The Park Map will help you navigate around the Park, as well as give dining options. 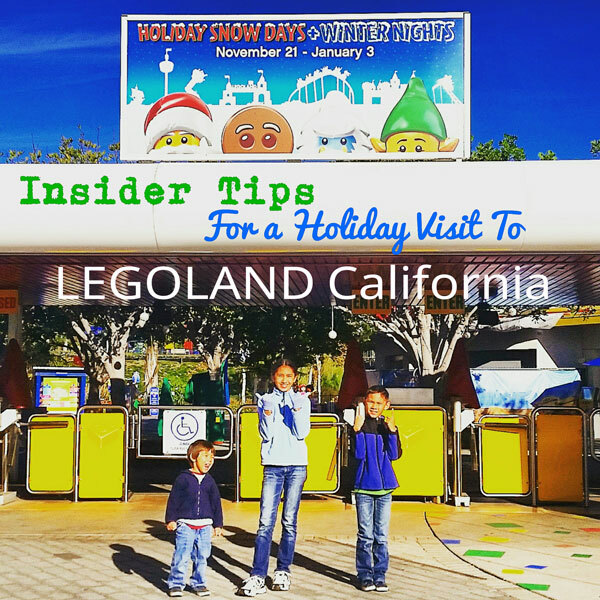 The Entertainment Guide will help you plan your day with show times and character Meet and Greet opportunities with LEGO Santa, lovable Emmet, the LEGO Friends, and other LEGO characters. Once you’re at the Park, begin your visit by starting out walking to the left, toward Explorer Island. The main areas with festivities during the holidays are in Fun Town, and Heartlake City. 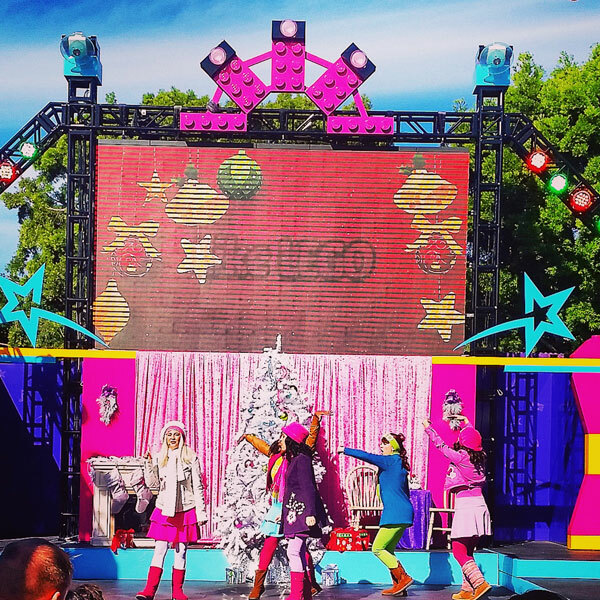 Heartlake City offers a cute holiday show on stage with the LEGO Friends, and Fun Town is where you’ll find the majority of the giant holiday-themed LEGO figures, bubble snow falling from the sky, and snow play areas for Holiday Snow Days. 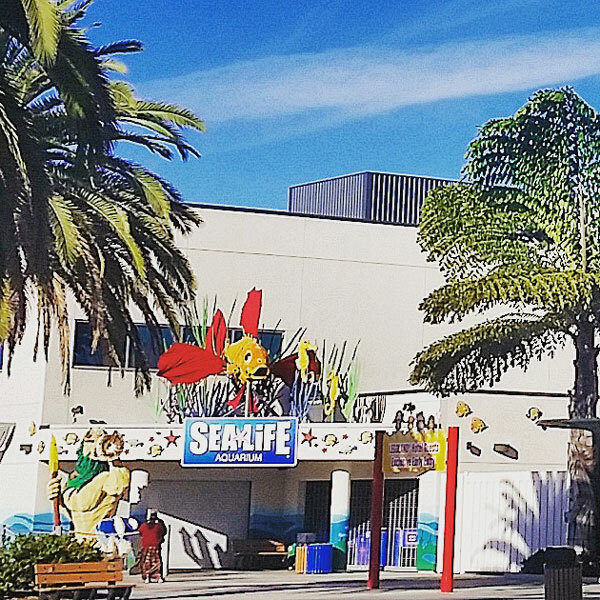 If you have a Park Hopper ticket, or annual pass that includes SEA LIFE Aquarium, don’t forget to make a visit. 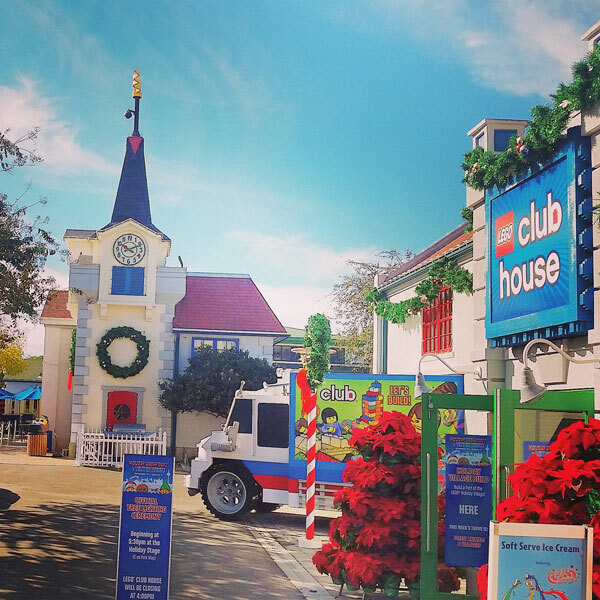 They offer a holiday-themed daily dive show, plus festive activities and decor included with admission during the holidays. Fun Town Market, located near the snow play areas, is a restaurant that offers seasonal food eats such Poutine (a Canadian favorite!) and Churros con Chocolate. Fun Town Market has lots of seating, both indoors and outside. Fun Town Hot Dogs, located next to Fun Town Market, offers bratwurst, knockwurst, as well as clam chowder in a bread bowl. 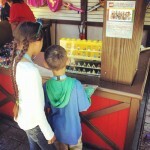 A walk-up stand, located to the right of the entry of the LEGO Club House and LEGO Factory Tour also sells seasonal eats such as giant soft Bavarian pretzels, cookies, and other convenient items to pick up on the go. Some great treat options are crepes from City Park Creperie in Heartlake City, churros from the Churro Stand just past the Garden Restaurant, and a Park-favorite, Granny Apple Fries, which are available in the Castle Hill area of the Park. We highly recommend you plan your visit to include the nightly Christmas tree lighting ceremony. 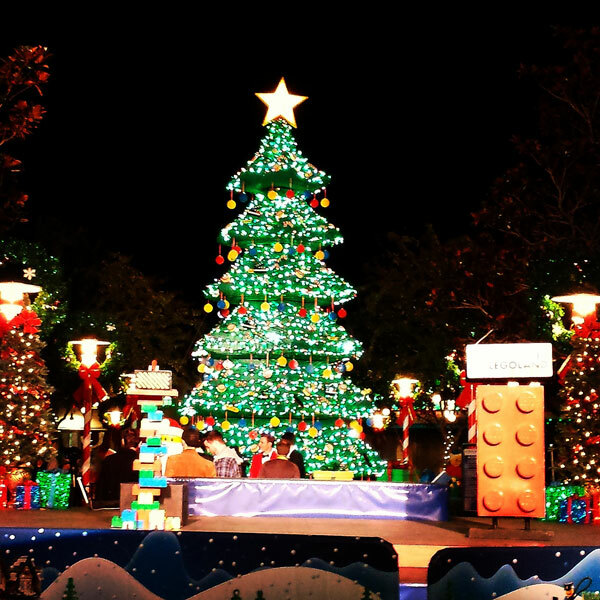 The LEGO Christmas Tree is really cool to see during the day, and beautiful lit up at night! 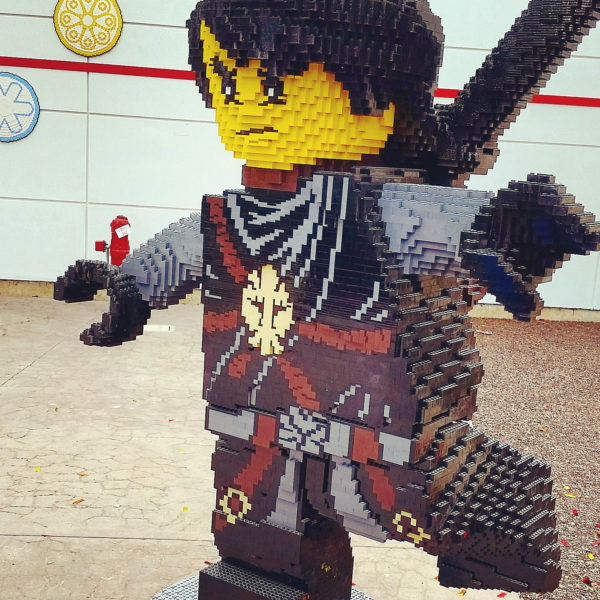 LEGOLAND offers a New Year’s Eve celebration for kids, with an early “Brick Drop”, around 6pm. This popular event includes live entertainment and fireworks. Plan in advance, as it has a limited capacity. 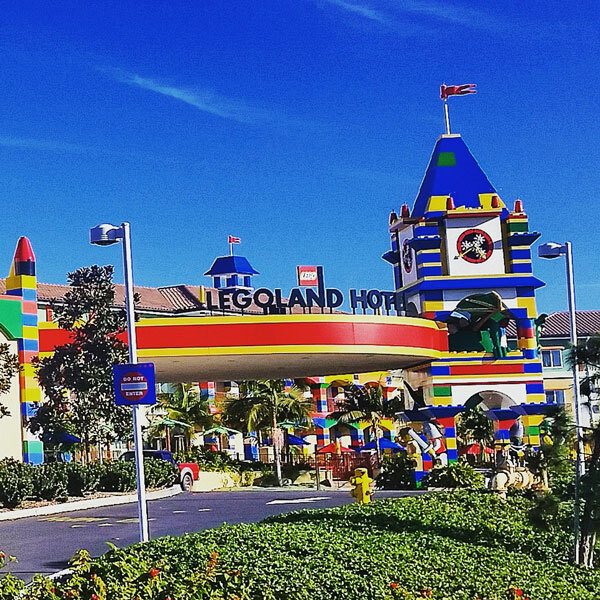 The LEGOLAND Hotel, located steps from the Park’s entry, is a fun way to make a visit to the Resort a memorable vacation. The hotel has seasonal decor during the holidays, and offers early entry to the Park. 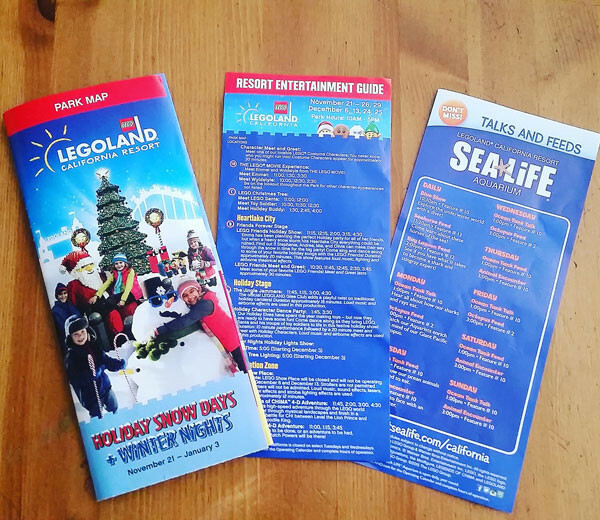 Be sure to check online for special offers that includes an overnight stay and entry to LEGOLAND. 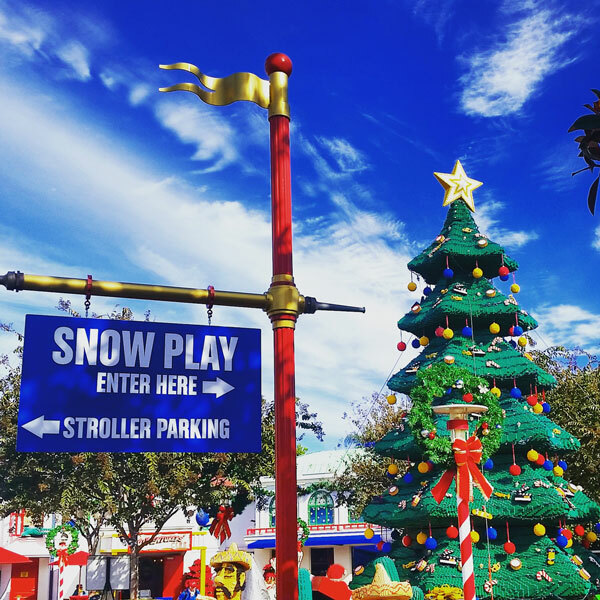 The holiday season at LEGOLAND runs through January 3, 2016. 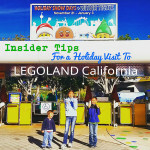 If you enjoy social media, tag your posts with #HolidaySnowDays and #LEGOLANDCA, for others to find and enjoy. 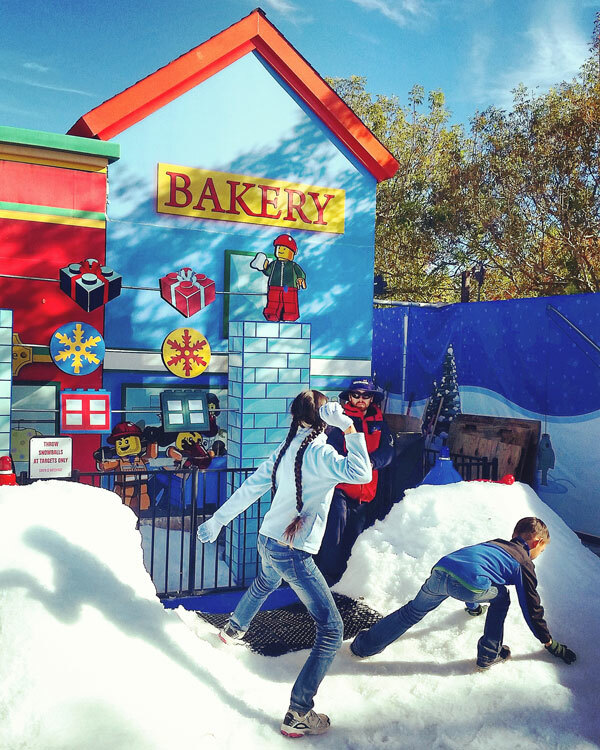 We plan to make another holiday visit to LEGOLAND to enjoy the snow before the end of the season. Perhaps we’ll see you there! 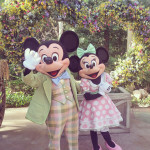 6 Things To Experience During Spring At Disneyland! 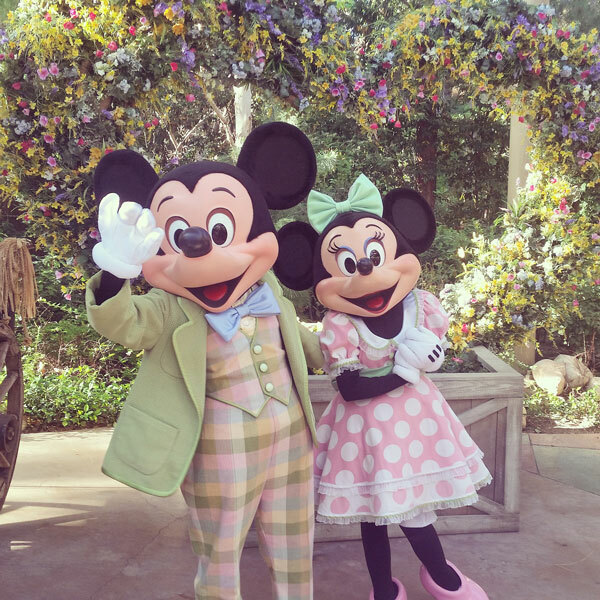 Spring at Disneyland is extra special with a Springtime Roundup at Big Thunder Ranch, “Egg-stravaganza” Easter Egg Hunts, neat treats, pretty Spring decor, and Disney characters dressed in their seasonal best! 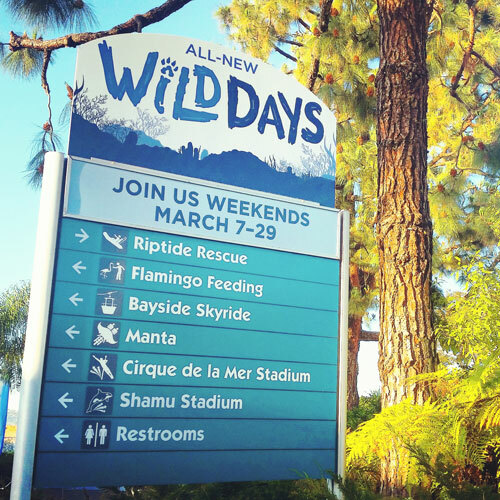 SeaWorld Wild Days, an all-new event is happening weekends in March 2015. 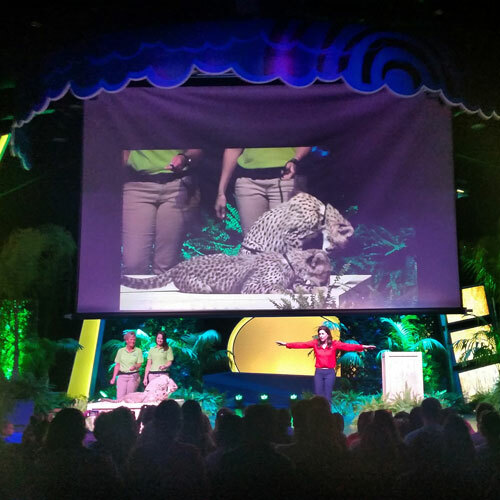 I was especially excited to go when I heard about some of the incredible Animal Ambassadors that were scheduled to be part of the event, including Julie Scardina and TV personality Jack Hanna. I grabbed our passes and took our daughter and youngest son to the park the first day of the event to check it out. Some of the neat things that are part of SeaWorld Wild Days include up-close animal connections. 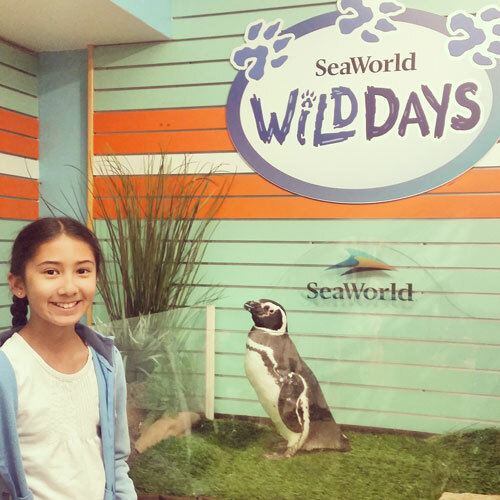 Our daughter’s love of penguins began at SeaWorld when she was just two years old, so when we saw an animal connection opportunity with a Magellanic Penguin, we were both super excited! Other animal connections happening the day that we visited included cheetahs visiting from the Columbus Zoo, and a variety of animals from the Animal Connections area of the park. Special shows are happening inside Mission Bay Theater during SeaWorld Wild Days, including presentations by leading animal experts. There are different themes, varying on the weekends, and assorted people leading the shows (check the lineup below). We saw a presentation by Animal Ambassador Julie Scardina, which was awesome! It included a handful of different animals including a lemur, porcupine, cheetahs, an owl, and more! 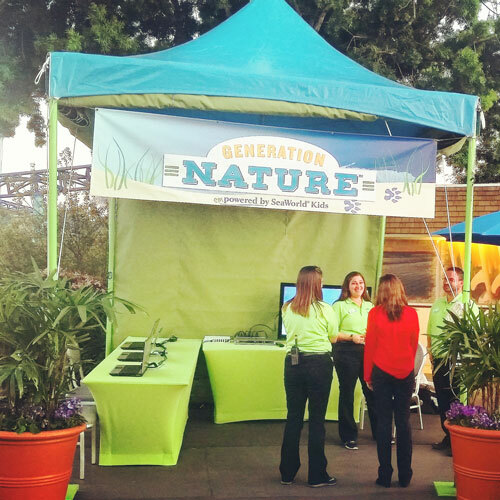 SeaWorld Wild Days includes an area with lots of booths set up to help families learn about conservation in a fun atmosphere. Generation Nature™, Hubbs-SeaWorld Research Institute, the SeaWorld Busch Gardens Conservation Fund, and others are represented. Assorted booths include conservation tips, activities and more. SeaWorld trainers and veterinarians can also be found in this area answering questions from guests, as well as giving a variety of presentations throughout the afternoon. We came late in the day and didn’t get to spend a lot of time in this area so we look forward to heading back there on our next visit. • March 7-8: Conservation presentations by Jack Hanna & Julie Scardina. • March 14-15: SeaWorld Team Members from the ABC Show “Sea Rescue” giving presentations. 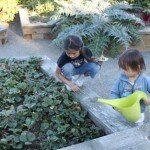 • March 21-22 & March 27-28: Generation Nature™ presentations that help inspire kids to become involved in conservation. 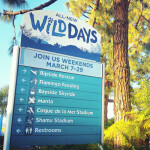 More information about SeaWorld Wild Days can be found by visiting the official SeaWorld San Diego website. Be sure to check with SeaWorld prior to your visit to verify event details, as they are subject to change. We can’t wait to return for more fun and educational learning experiences during the event. Perhaps we’ll see you there! 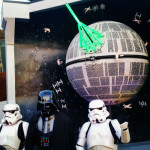 The LEGOLAND Death Star has landed in the LEGOⓇ Star Wars™ area of Miniland USA at the popular Carlsbad theme park! We were invited to attend the media unveiling of the new model, and were very impressed by the new addition! • The LEGOLAND Death Star took 8 LEGOLAND Master Builders 1800 hours to build. That’s the equivalent of 1 Master Builder working full-time on one project for an entire year! • The LEGOLAND Death Star is based on the design from Star Wars: Episode IV A New Hope. • The new model is surrounded by a slew of LEGOⓇ starship models consisting of over 20,000 LEGOⓇ bricks. • The Death Star has 6 animated planet destroying Turbo Laser Turrets. • The planet shaped model includes interactive buttons that can be pushed by kids of all ages. • The Death Star weighs 1900 lbs, is 8 ft wide, and is 13 ft high! • This new display is the largest major addition to date in LEGOⓇ Star Wars™ Miniland. Next to the LEGOLAND Death Star is a new LEGOⓇ Starship Building Station, filled with lots of neat assorted LEGOⓇ bricks for guests to use while at the building station in Star Wars™ Miniland. 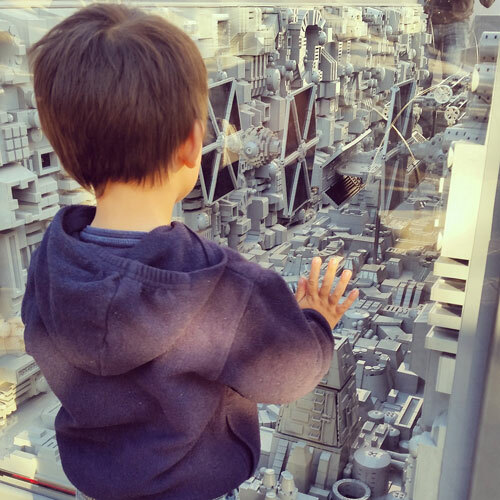 Our 7 year old son was immediately drawn to this area when we attended the Death Star unveiling, and built a pretty incredible LEGOⓇ starship himself! 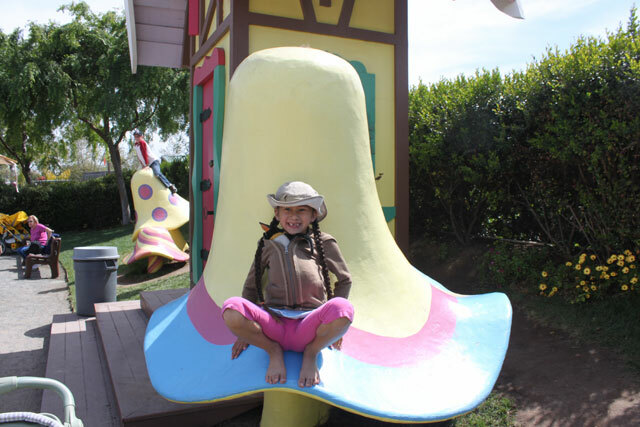 5 Reasons Why The Knott’s Boysenberry Festival Rocks! 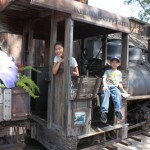 5 Reasons Why Knott’s Boysenberry Festival Rocks! 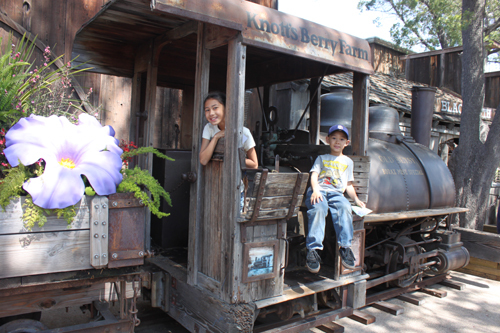 Beginning on March 28th, and happening through April 12th, 2015, Knott’s Berry Farm will once again host their annual Boysenberry Festival. 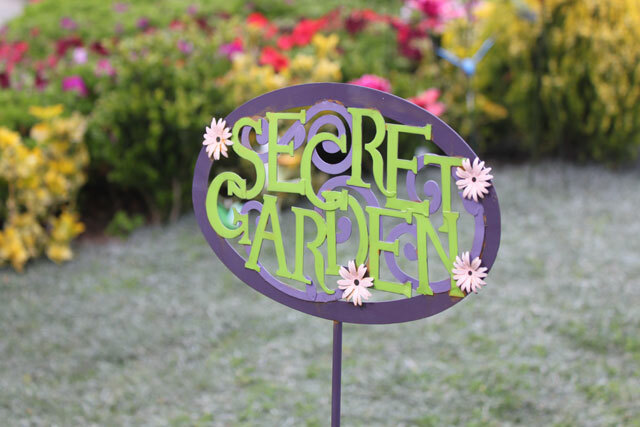 This yearly Springtime favorite will be held in the Ghost Town area of the theme park, and feature fun photo opportunities, delicious boysenberry-inspired food, entertainment, and so much more! The decor during the Knott’s Boysenberry Festival includes larger-than-life boysenberry decorations, themed cut-outs, “Wanted” posters, and other neat decorations. The special decor, along with the Old-West feel of Ghost Town make for lots of great opportunities for fun photos! Outside of Ghost Town, over in Camp Snoopy, you can find Snoopy dressed as the “Easter Beagle“, and other special Springtime photo opps. 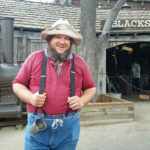 The Knott’s Boysenberry Festival includes fun entertainment including the daytime Peanuts Party in the Park, nighttime dance party called Jammin in the Dark, pie eating contests, a pie walk, dueling fiddlers and banjos, and performances by Krazy Kirk and the Hillbillies. 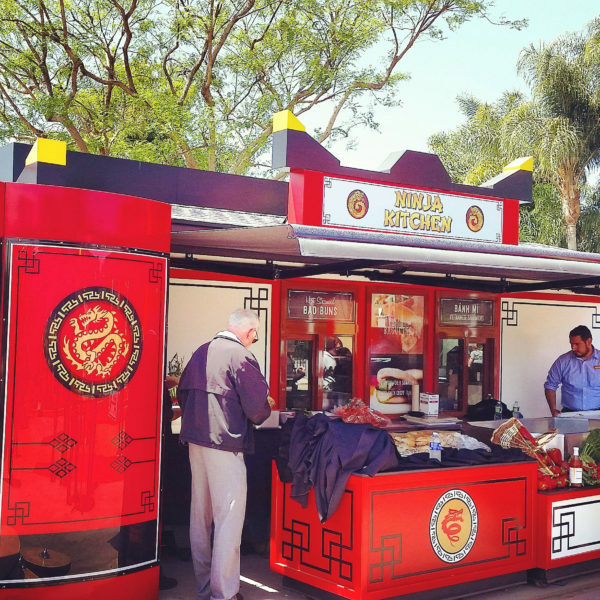 Lots of delicious food, including boysenberry-inspired creations, “Boysenberry Bites“, will be available during the Knott’s Boysenberry Festival. Some of the Boysenberry Bites available for purchase include ribs and chicken with Knott’s Berry Farm’s Boysenberry BBQ Sauce, a fish and chips sandwich with boysenberry tartar sauce, fried cheese curds with boysenberry dipping sauce, Boysenberry Latte and Frappuccino, boysenberry fudge, and Boysenberry ICEE Floats to name a few! 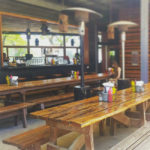 Little ones can enjoy boysenberry tart making for a small fee, and inside the Wilderness Dance Hall, adults can partake in a Wine and Craft Brew Garden. Reason #4: THE RIDES AND ATTRACTIONS! 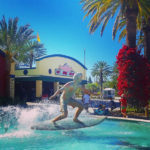 Aside from the great entertainment, food offerings, and special decor during the Knott’s Boysenberry Festival, you also get to experience everything else that makes Knott’s rock! 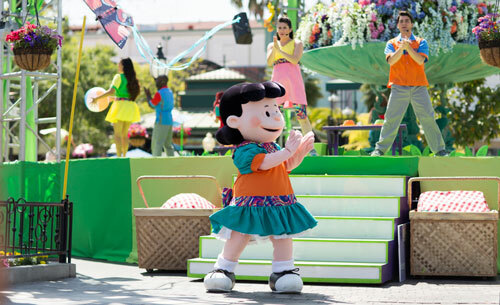 From the newly upgraded Camp Snoopy, to the recently restored Calico Mine Train, to the roller coasters and more, there’s lots to see and do at America’s 1st Theme Park! 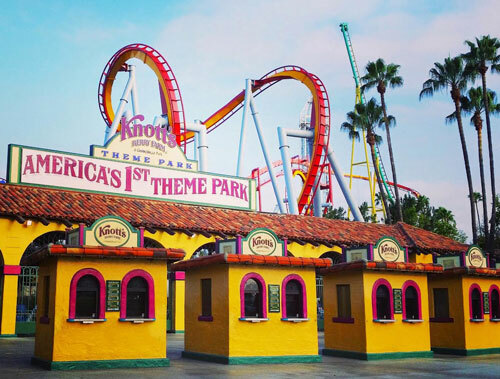 Knott’s Berry Farm’s Boysenberry Festival is included in the price of daily admission (or with a Knott’s Season Pass) to the amusement park. 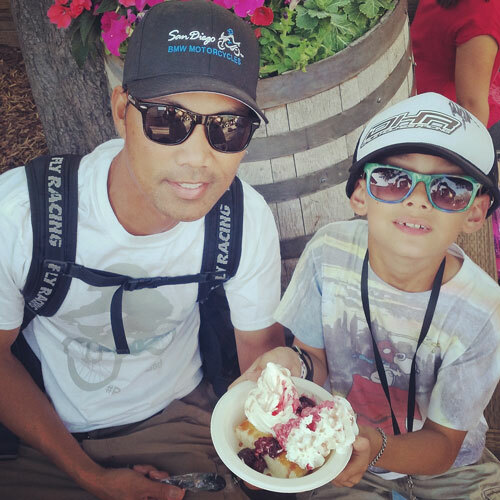 You don’t need a special ticket or have to pay an additional fee on top of your daily admission to enjoy the Boysenberry Festival, which makes it a great value! If you enjoy social media, be sure to follow (and use!) 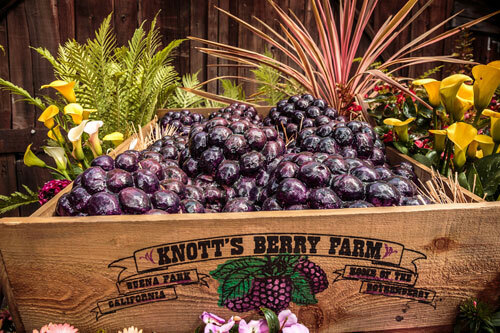 the hashtag #KnottsSpring for posts from the Knott’s Boysenberry Festival. We look forward to going with the family, and may just even book a room at the Knott’s Hotel to make our visit a weekend getaway. Perhaps we’ll see you there! Disclosure: We do not have a formal relationship with Knott’s Berry Farm. We have a relationship with GigaSavvy, for whom we create original content. Our opinions are our own. The Museum of Photographic Arts San Diego, otherwise known as MOPA, is holding their 10th Anniversary Youth Photo Exhibition! The exhibit theme for 2015 is “Self Portrait“. Students from Kindergarten through 12th grade, across San Diego County as well as Tijuana, are encouraged to share their self portrait for juried selection. Students may either enter photography or video for their submission. Best of all? It’s FREE to enter! Full details about the MOPA San Diego Youth Photo Exhibition, including eligibility for submission, can be found on the MOPA Website. Once on the site, you can find further details about submission by clicking on the link next to your desired form of entry, be it digital or by mailing your entry to the museum. 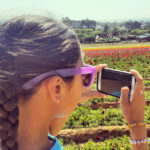 Our 10 year old daughter is very interested in photography, and just may enter a photo or video herself! 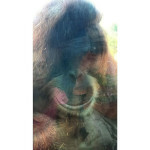 The photo used above is one she took with a cell phone camera at the San Diego Zoo. I love how her portrait, as well as her baby brother’s are reflected against the glass, along with seeing the face of the orangutan. It combines her love of animals as well as family in one shot, all just by chance. Submissions for the MOPA San Diego Youth Photo Exhibition must be received by by 11:59pm PST on June 15th, 2015. Artists accepted into the 2015 Youth Photo Exhibition will be notified in late July, and their work will be on view from October 3rd, 2015 – January 24th, 2016. Perhaps we’ll see your child’s submission featured later this year!